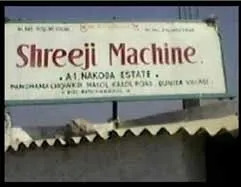 Established in the year 2008, at Vadodara, Gujarat, India, we “Shreeji Machine” are well-known Manufacturers and Trader of bags selling & making machines, inclusive of Side Seal Machine, Plastic Bags Making Machine and Plastic Bag Sealing Machine. Quality is the hallmark of our organization, each of these machines is tested on rigorous parameters and then sent to the customers. These tests help our products in meeting the international standard and stand apart from conventional ones. 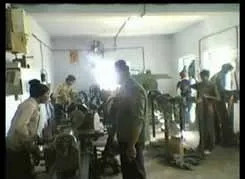 We keep on incorporating improved and efficient methods of production, so as to satisfy the customers to the optimum. We provide after sales support to our customer. We have the backing of an experienced R & D department that is manned by highly qualified professionals. All these experts carry out thorough market surveys and understand the ever-changing market needs. Apart from this, we put our best foot forward and adhere to the suggestions & feedback provided by the customers. For the convenience of the customers, we provide them with user-friendly manual, facility of customization and also installation & operational training. Our mentor, ‘Mr. Kamlesh Misrty’ has been playing an instrumental role in the growth of our organization. He has excellent skills to keep the team members united, thereby assuring growth for the company. 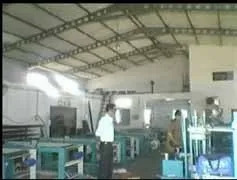 Manufacturing and Trading of Plastic Bags-Making Machines. Our organization has an extensive infrastructure that is provided with various facilities. To ensure a streamline production, our infrastructure is segmented into different departments. Each of these departments is looked after by highly diligent and experienced professionals, having thorough expertise in this domain. All the above departments play an instrumental role in manufacturing the products with utmost precision and accuracy. Our organization has nurtured a viable team of industry professionals, who have benefited us in manifold ways. It is owing to their hard efforts we have been able to gain success, both in terms of a number of customers and business expansion. Over the years of our trading activities, these industry experts have facilitated consistent growth and strengthened our widespread business network. Through a perfect combination of incessant hard work and world's finest techniques, we have been able to attain this strong position in the market. Moreover, attaining excellence in every sphere is our passion and providing utmost customer satisfaction is a prime aim.